Fortunately for Mac users VNC service is available by default on Mac. VNC stands for "Virtual Network Computing" which is techie definition for remotely sending keyboard and mouse input across network and also viewing exactly what is being displayed on the target machine. On this tutorial, I'll show you how to remotely access your Mac from any iOS device. Let's start with Mac setup. 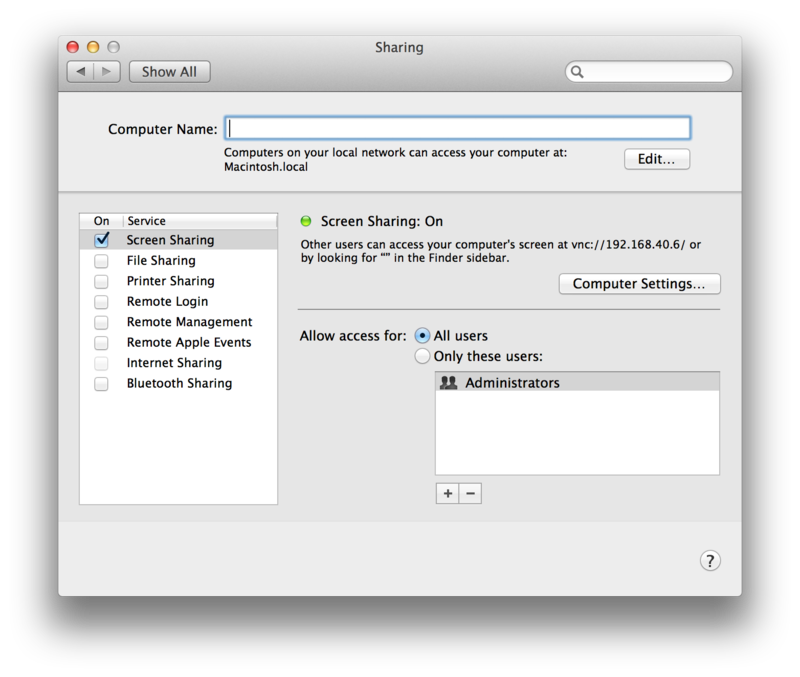 Go to System Preferences and then click Sharing. From the list of services, tick the "Screen Sharing" checkbox. You can customise the access by choosing All Users or specific users. It is up to you. You can also set custom password by clicking the "Computer Settings" button. Now setup the iOS device. Download RealVNC at app store. Once app is already installed. Add new target machine by tapping "+" at right corner of the app. On the Details screen, enter the IP address or hostname of the computer you want to access. Label it by entering any text on the name field. On the next screen, click Connect to start the remote control session with the target machine. When asked to login, enter the username and password of any user account that is existing on the the target machine. After successful login verification, you should now see the target machine's screen. Do you have other VNC client software for mac in mind? Let me know and share it!